Haven't heard it, but would note it is not a tube amplifier. It is a 25 watt per channel solid state amp with a tube preamp section. Not sure what the market is for this product given the low power output spec or what kind of speakers it would be safe to use with. I have had a hybrid amp before with a tube buffer stage built into it. That was otherwise a 200 watt per channel solid state amp. Based on the looks, it's definitely a Chinese piece. Might make a nice desk top system. I'm guessing it's similar to the little Dared's and Fatman amps going around years ago. I still have a Dared clone and it sounds way, way better than it should. Still amazed by that piece. Something like this, there's no guarantee you'll get a tube sound, but the price is right for experimenting. Sometimes the tubes are merely for show and aren't implemented to influence the sound all that much. I believe there is an American equivalent to the 6P15 also. That said, yes this amplifier is a hybrid, and a pretty uninspiring one, at that. Cheap, though, right? I'm sure it doesn't sound bad... one should just manage one's expectations. Well said. When I saw this on my phone, I was expecting something in the $350-400 range, not $150. Actually, that price tag makes me less interested, especially with all the 'throw-ins' that thing offers.... bluetooth, meters, tubes, etc. Its a throwaway piece, and I've never equated throwaway to a tube piece before. I have seen this but was put off by the pricing. 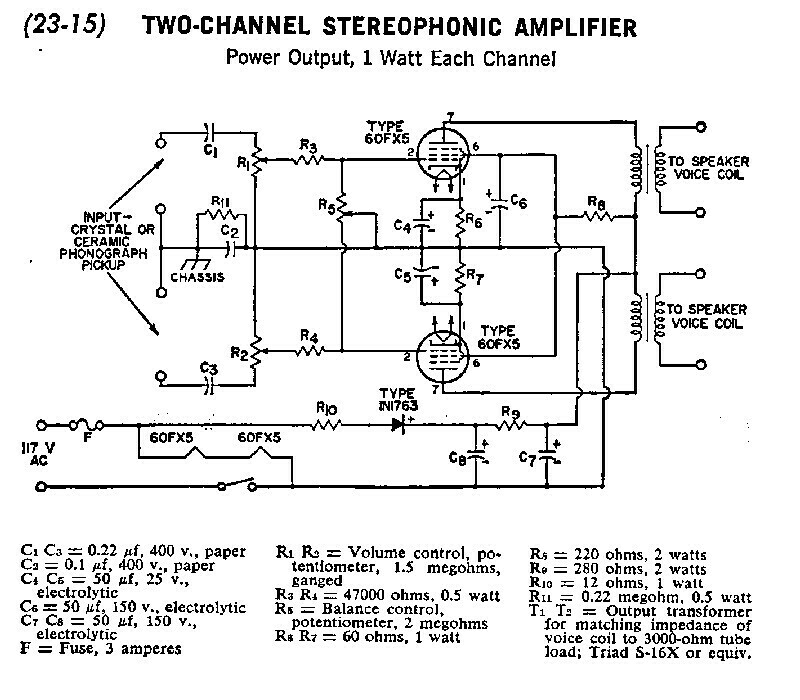 Wondering about the implementation of the pre-amp (tube section). That said. I've known many here and elsewhere who swear by tube pre-amps and a good solid state power amp as an option that gives you the best of both worlds. Of course, most of those combos are WELL above this price range. But I also have to say that I've used a CHEAP tube headphone amp and actually heard a pretty significant difference in hard to drive cans like my HD 600s, and Beyer DT-990s? There was no doubt that there was a significant warmth and musicality delivered there. So, you never know. I placed an order for one. For the price it's worth to give it a try. If it didn't have BT I probably would have passed but since it does it doesn't matter if it sounds great or not as I am sure it will sound decent enough to be placed somewhere in the house or be used as headphone amp. I will post my impressions once I get it and have had time to experiment with it. I've seen reports that while the tubes glow they are not in the audio circuit, but hey what did you expect, it is Monoprice. Where can find those reports? Look at the reviews on Amazon for Nobsound amp. It's the exact same amp as the Monoprice. Please Note:AS the USB and Bluetooth are connected through the same signal Channel,so if you want to connect with the bluetooth,firstly please pull out the usb,restart the bluetooth function and the machine,then connect.The USB supports only 5 formats:MP3/FLAC/WAV/APE/WMA,and the Bit Rate should not be higher than 16BIT/48KHz.Otherwise,there maybe noise. So basically you can't play any files higher than cd quality. Seems to me, if one wants a bit of that tube sound in your system, adding a good tube buffer would have more of an effect and at roughly the same if not cheaper cost. One reviewer noted that Amazon China sells these for 60 bucks. Which means there is probably 30 bucks in parts to this thing and a lot of child labor putting it together. "Wars and rumours of war..." as the old saying goes. FWIW, according to this guy, the signal does at least flow through at least some of the tubes. The actual role(s) of the tubes in the circuit is (or the lack of same), as we say in my line of work, a testable hypothesis. EDIT: It is really, really odd (and smacks of deliberate bait-and-switch-ing) to have a pair of EL84-equivalents employed in a vacuum tube preamplifier stage in any way, shape, or form (low plate voltage notwithstanding). As an aside, it is actually possible to drive an EL84 directly with an AC signal (in the absence of a voltage amplifier stage) to create a true "spud amp" (a one-tuber). Far from optimal, but do-able to create a conversation piece. There used to be a schematic for such a design somewhere in cyberspace, but I've lost all trace (no pun intended) of it over the decades. I think it was from an Italian site. As an even less relevant aside, there were also several cheap power pentodes that were purposely designed to be driven directly by a high output signal from a ceramic or crystal phono cartridge. These tubes enabled the construction of TRULY CHEAP stereo amplifiers for low-cost, low quality portable stereo record players "back in the olden days". One such tube was the 60FX5. If I decide to keep it I will probably open it up and see what's inside. Like said I have no high hopes for this but for that price it's worth a try. I have a few places it can go if it sounds decent, none of course critical listening areas. Did you ever get the MP hybrid? I'm curious to your impressions. I've got NO experience with tubes but also pulled the trigger before Christmas to give it a try. Figure, at the price it was a nominal gamble to 'try' tubes... I bit on a package deal with some 5" bookie speakers and speaker wire (think I paid $219.99 for it) and free shipping (http://www.monoprice.com/product?p_id=15016). Mine arrived on 12/23. First, it is DEFINITELY a cheap Chinese piece. The volume knob is plastic and not machined very well. Mine actually scraped the face plate as you turned it and felt very poorly made. But that was (mostly) fixed by slightly pulling it out a bit. The tubes and 'guards' seemed a bit crooked. The first thing the manual says is to press the tubes in all the was (since they may become loose in shipping). I was able to re-seat the tubes and get them looking fairly plumb in the guards. On the other hand, it has a bit of mass and some neat features (with the Bluetooth and the VU meter!). I was willing to look past the issues with the quality control on the volume knob and tube alignment in the guards as the rest of the piece actually looks very nice. Second - performance... Well, I was instantly disappointed when I got it all hooked up, powered it on, let it warm up for a minute or so, and immediately noticed one of the small tubes dimmer than the other and one of the taller tubes completely dead. I tried some tunes quickly over the BT, and it was confirmed that some tubes were bad since I only got sound from the side with the good tubes. I DID swap the tubes and the other side played, so the tubes are definitely more than just for show. Now, the side that played sounded remarkably impressive. The volume seemed low... I had to max it out to listen at the level I wanted to (and was by no means too loud). Now that could have been to the bad tubes or the fact that it was only playing on one channel. The included speakers were surprisingly nice and sounded better than I expected. The 14 AWG terminated speaker cables were a nice bonus too! So, after a call to MP support, they processed an RMA. I was hoping they'd just send a new amp, but no, they wanted EVERYTHING back. So, I packaged it all up and returned it. Due to the sluggish shipping, and the fact that they won't send me a replacement until they get the return 'processed', I'm not expecting to have the replacement for a couple weeks. I'm debating cancelling the order altogether since my return is still "in transit". But, I'll probably just keep the order and see if the second one arrives in working condition! If I do keep, I'll post my experiences here. Another thought... when I purchased this last month, only the package deal was on sale and had the free shipping. Since shipping on JUST the amp would have been around $30, and the price was $150, I figured the extra $40 to get a cheap pair of speakers and cables was worth it. However, now the amp alone is shipping free. So, I'm debating just getting the amp for $149 (saving the $70 now) and getting a better pair of speakers. Any recommendations for good (small) bookies in the $100 range? I'm completely open to new or used. There's a pair of Onix in the FM for that price, but I know nothing about them. I also saw Jeremy M's pair of Fluance that recently sold for $100, but again knew nothing about those... Open to suggestions and/or recommendations. In order to not further my thread-jacking here, feel free to PM me on speaker thoughts if anyone can help. I was very interested until reading Jesse's comment. I wana get something like this for my brothers airport so he could have my RTI 8 and just listen to garbage from his phone while he drinks beer and works on his truck. I am reaally looking forward to opinions from owners here so speedy updates are in order! It's cute. But it's most likely jumping on the hipster retro trend. Looks nice, probably sounds ok when you stream Spotify to it ( b/c lets face it, its for the spotify/pandora scene). Hey Al, check out the pioneer bookies that @audiocr381ve has for sale. If I had anywhere to use them they would already be mine! I'd rather have $150 of LP's, CD's, SACD's, and/or digital downloads. If a piece of gear can be called cute I want no parts of it....just yuck! hmm... if the converse is true, you might even like my hifi junk.